By now, cryptocurrency is not a stranger to the world. It has become one of the most polarising topics out there. Some see it as digital gold and to some, it’s fool’s gold. 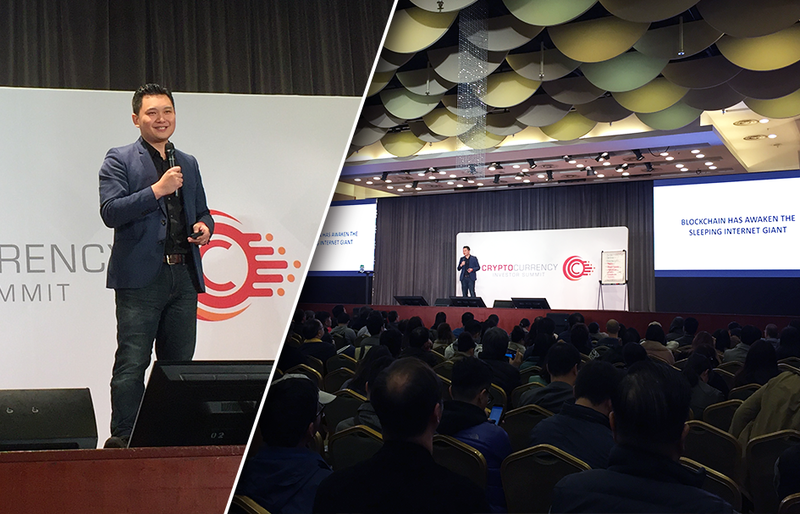 To help interested individuals understand what is cryptocurrency and the underlying Blockchain technology, NDNX Cowork Tech Hub, in partnership with Success Resources, brought Cryptocurrency Investor Summit to Hong Kong. On 28 January, over 600 people attended this full-day free summit. NDN Group CEO Andy Ann was one of the speakers at the summit where he has shared his view on cryptocurrency and the potential of Blockchain. He stressed the need to understand two key points before fully understanding cryptocurrency. First, Blockchain is the underlying technology of Bitcoin. It can support a wide range of applications and it is already being used for peer-to-peer payment services, supply chain tracking and more. Think accounting ledger that appears in the digital space. It is designed to store information in a way that makes it virtually impossible to change data without being detected by others. Therefore, it is tamper-proof. Today, a central authority like the government or bank verifies monetary transactions. Blockchain could replace these centralised systems with decentralised ones, where verification comes from the consensus of numerous users rather than one central authority. Any changes made on Blockchain are reflected across the entire network. Second, one needs to grasp the genuine concept of money. Throughout history, we have used commodities like salt, cocoa, silver, gold, and in the modern economy, currency (i.e. banknotes, coins) as a medium of exchange so we don’t need to use the barter system. In fact, the banknotes we use today don’t have inherent value since it is considered as a medium of exchange. When you go to a shop and buy something, both you and the cashier agree that the banknote used, for example, a HK$100 note, represents a certain value. You will ask, what dictates the value of a banknote? For centuries, currencies were tied to “gold standard”, meaning the value of banknotes depends on the government’s gold reserves and each can be swapped for the other. In 1931, Britain had dropped this tied and then the USA followed shortly because gold is scarce, and supply could not catch up. Nowadays, supply, demand, and faith in the government form the basis of currencies. After the 2008 financial crisis, many don’t trust the centralised system (government, banks) anymore. In October 2008, a mysterious person who solely identify himself as Satoshi Nakamoto published a paper on “Bitcoin: A Peer-to-Peer Electronic Cash System”. Few months later the first Bitcoin was launched. Today there are over 1,000 types of cryptocurrency. People need to understand the fundamentals in order to adopt this new technology. Just like buying a home or vacation package, people need to understand and do research before they take action. It is just a matter of time, when cryptocurrency will reach mass adoption. New technologies come and go, but the ones that stay derive from the following term: Globalisation. Take internet in the 1990s for example, no one really understands what it is, then internet traction started to roll, several internet bubbles formed and popped, but yet realised its power to bind everyone for speedy communication. By the late 2000s its services and technologies had been incorporated into virtually every aspect of human’s lives. Today we practically cannot live without it. E-commerce, Facebook, Uber, online banking, WeChat are all by-product of the internet. The new wave for cryptocurrency is surging, and will no doubt further enhance globalisation by revolutionising speedy yet trustworthy transactions.